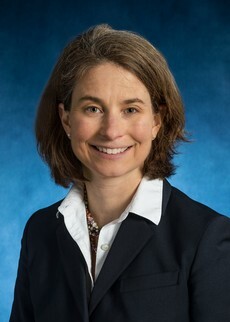 Jennifer L. Wolff is the Eugene and Mildred Lipitz Professor and Director of the Roger C. Lipitz Center for Integrated Health Care. She is an expert and thought leader in research and policy relating to the care of persons with complex health needs and disabilities. She has made major contributions to increasing understanding of the role of family caregivers in the interactions of older adults with the medical community. She has been involved in the development and evaluation of numerous initiatives aimed at better supporting older adults and their family caregivers, including applied research to develop practical tools and strategies that may be readily deployed in care delivery. Her research has been published in top-ranked journals including NEJM, JAMA, Journal of the American Geriatrics Society, Social Science and Medicine, and Health Affairs. She has led projects that have been funded by the National Institute on Aging, the National Institute of Mental Health, AARP, the Jacob and Valeria Langeloth Foundation, the Milbank Memorial Fund, and Atlantic Philanthropies. Dr. Wolff is a core member of the Roger C. Lipitz Center for Integrated Health Care, the Center for Health Services and Outcomes Research (CHSOR), the Center on Aging and Health (COAH), and the Center on Innovative Care in Aging. She holds a joint appointment in the Johns Hopkins School of Medicine’s Division of Geriatric Medicine and Gerontology. Selected publications from the last 5 years. Wolff JL, Roter DL, Barron J, Boyd CM, Leff B, Finucane TE, Gallo JJ, Rabins PV, Roth DL, Gitlin LN. A Tool to Strengthen the Older Patient-Companion Partnership in Primary Care: Results from a Pilot Study. Journal of the American Geriatrics Society; 2014: 62(2): 312-319. Wolff JL. Family Matters in Health Care Delivery. JAMA; 2012: 308(15) 1529-1530. Wolff JL and Roter DL. Family presence in routine physician visits and the patient-physician partnership: A meta-analytic study; Social Science and Medicine; 2011: 72(6): 823-31. Giovannetti ER and Wolff JL, Cross-Survey Differences in National Estimates of Numbers of Caregivers to Disabled Older Adults; Milbank Quarterly; 2010: 88(3); 310-349. Wolff JL, Rand-Giovanetti E, Boyd CM, Reider L, Palmer S, Scharfstein D, Marsteller J, Wegener S, Frey K, Leff B, Frick KD, Groves C, Boult C. Effects of Guided Care on Family Caregivers; The Gerontologist; 2010: 50: 459-470.